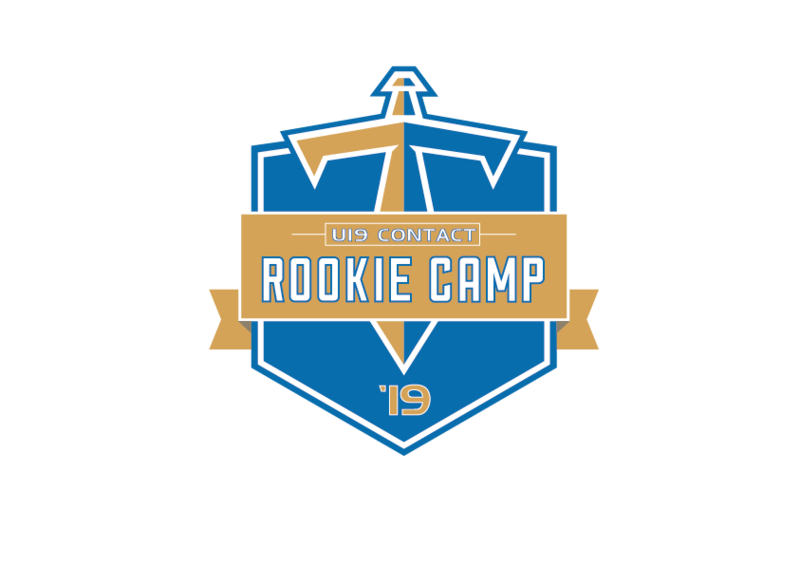 Prior to even the first rookie session the team started with a new head coach and all three parts of the team had new coordinaters. The new play books from the coordinators brought new ideas and drew new players to the team. All these factors added to the fresh start feeling that was around the Titans as they moved to a new home. The new feel to the team and the upcoming season only increased with a large influx of players and coaches from the UCLAN organisation. They brought new ideas and new players to integrate into the team and we became a new family. From the start the Oline were the first unit to integrate completely with old and new players becoming one unit extremely quickly. This part of the team would become the basis of the highest scoring offence in Division 1. As the season drew closer training intensified and the coordinator’s ideas were taking shape including Stretch’s cunning plans for special teams. Two scrimmage set the tone for the season. A lot of confidence came from the good team performance against Merseyside but also gave a warning that the standard and dedication had to increase. Luke Carlton and the rest of the UCLAN guys also brought us something else that would be an integral part of our team, our season and how the team performed as a whole on the field and on the sidelines: our JUICE on the sideline and how we behaved on the field. This sideline JUICE inspired the team and brought the team together as a whole, all the way through to the final game of the season. As the intensity of training and scrimmages increased it showed that the team was ready for some league action. The team’s first game of the season was away against Doncaster, who had in the season before been a play-off team – which meant they were not to be underestimated. A bad concussion to a Titan player ended up taking the shine off a good 41-0 win but he would return to the team and the playing field later in the season. Then two weeks later came the first home game at the new Stadium and a huge amount of work from the committee and media team went into pushing tickets and advertising the game. Sadly this blew up when on the morning of the game the opposition told us they were not travelling due to a lack of players. This incident marred the rest of the seasons home games as relationships with the stadium had to be rebuilt and financial costs are yet to be fully addressed. The team that day took the chance to run a full scrimmage to prepare for the trip to Newcastle the next week. After our first actual home game against Doncaster, we sat at 4-0 and were looking good. But the following day was to be one that was to be etched in Manchesters history forever. An attack on our city that threw the city into complete turmoil and that brought out a huge amount of emotion from around the city and the country. 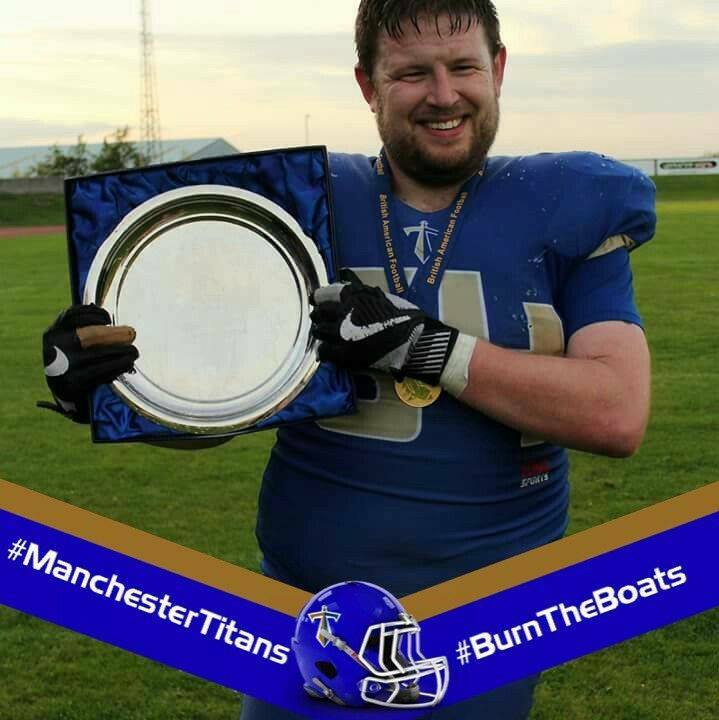 The Bee symbol that symbolised the City’s fight back became part of the Titans kit, each player exhibiting the Bee on their helmet as we set off to play Doncaster again returning with another victory before we welcomed the Yorkshire Rams to Manchester. The team was completely humbled by a gift of a wreath in memory of the victims from the Rams. A great gesture that was deeply appreciated. Happily the day ended in a victory for the Titans. Then the first of our two trips to the John Charles stadium this season. The first trip there was the only loss that we had this season. The Yorkshire Rams on that Saturday evening slowed down our offense and we couldn’t respond on the day. However one of things that for me defined this season was how as a team, as a set of players and coaches we knuckled down, put in a large amount of work and used that loss as an impetus to go after every game that came after. Then came PLAYOFFS and time for revenge against a good Sandwell for last year’s playoff defeat. 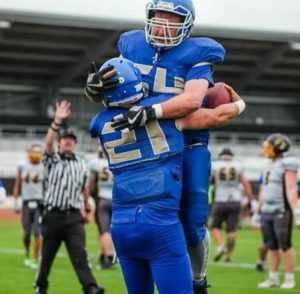 The week was like nearly every game this year, with Luke Carlton the OC putting in a stupid amount of time and planning to attack Sandwell on Offense in a different way to every other game this year, and it paid off beautifully with a convincing win in the end. 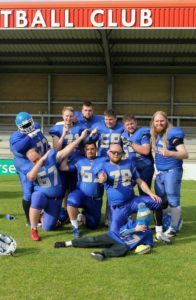 But that brought with it a bigger challenge… the team that were meant to be the best in Division 1, the machine that was the Leicester Falcons. And according to some of the media we were heading to Leicester to get a beating and come back with our tails between our legs. We had other plans and on that eventful afternoon in Leicester we rode our luck a bit, took the chances we had and relied on a great defensive performance in the end to hold them out and seal the victory that meant PROMOTION to the Premier Division. The scenes at the end of that game will live with me forever. The emotion that came out following this long season showed how much it mattered to us. The efforts that had started at the start of September 2016 when Pete Birds was made Head Coach and catapulted the Titans to the Premiership. 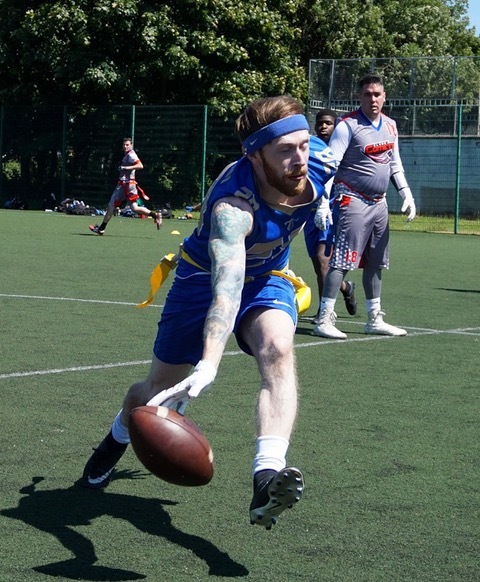 And then Realisation hit… Britball 31… and the small matter of the Division 1 Final against the London Olympians. We were headed back to the John Charles stadium where we lost earlier in the season. And we got to see Ste Kimmins, who up until a year ago was playing in the Royal Blue catching impossible balls. But now would be playing in White against us, still completing some incredible catches. So Luke Carlton planned like he did all season and made his final videos for the offense to watch about game plans like he had done all seasons, showing formations and play ideas and always containing the secret questions hidden for players to answer. We trained for a final time and then rocked up in Leeds. 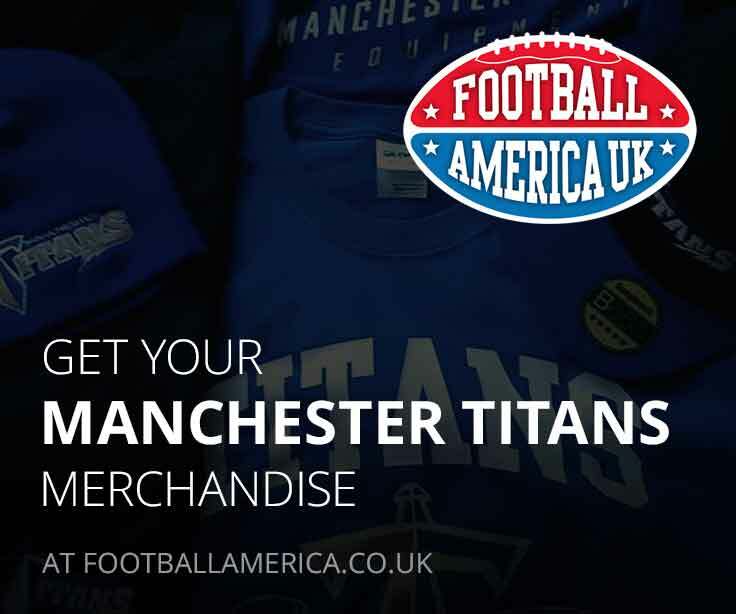 Listening to a poem in the changing room by Tony Walsh about ‘Our city, our Manchester ’ the team seem inspired and by all accounts we put on a bit of a show with the first Mercy rule rolling clock in a Britball final. I’m sure we made a few teams sit up and take a look with our performance that day. Division 1 Champions and a nice gold medal was a great way to finish the season and a true reward for the teams efforts this year. I cannot wait to see how the team will perform against the best the UK has to offer. There are too many people who I could talk about but I have to give a giant shout to my Unit, the Oline, a group who go out to not get the applause, they don’t get MVP awards and usually don’t get the stats. I truly believe that our QB Sam Bloomfield must be the least sacked QB in the league. Bloomers showed across the season and in the final how he could perform when given the time to throw. Bearing in mind this was even more amazing when he didn’t start the season training at QB, instead lining up at wide receiver. The Offensive Coordinator Luke Carlton who blew me away with his dedication, I’ve never seen a coach do the level of work he does to plan for other teams and who inspired us to an average of over 40 points scored across the season. And the Defense as a whole who continued to fight hard every game and turned over the ball numerous times and scored a few times across the season including at the final. And finally the big man himself, Head Coach Pete Birds, who brought in a new set of coaches, allowed them the freedom to plan their schemes and brought them together to take the team forward all the way to Premier League Football. I know that planning for next year is already starting with the coaches and the committee who have all worked their socks off this year behind the scenes.